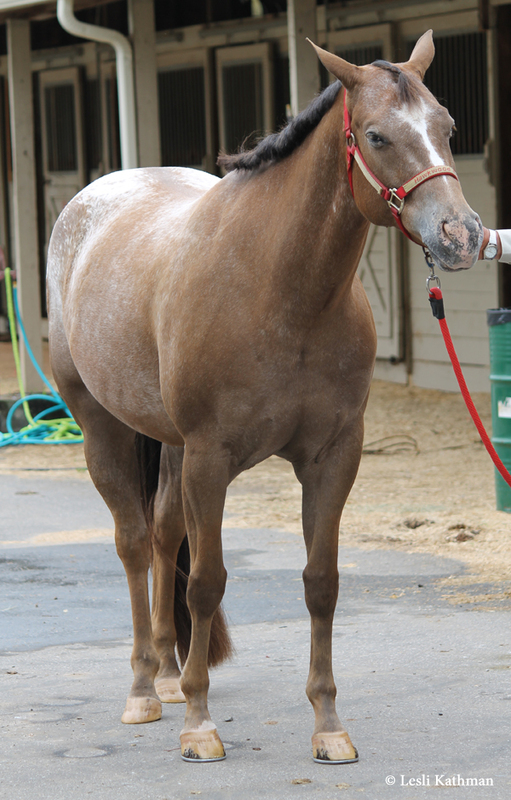 Before I move on to badger faces, I wanted to share another unusual appaloosa from Steph’s files. 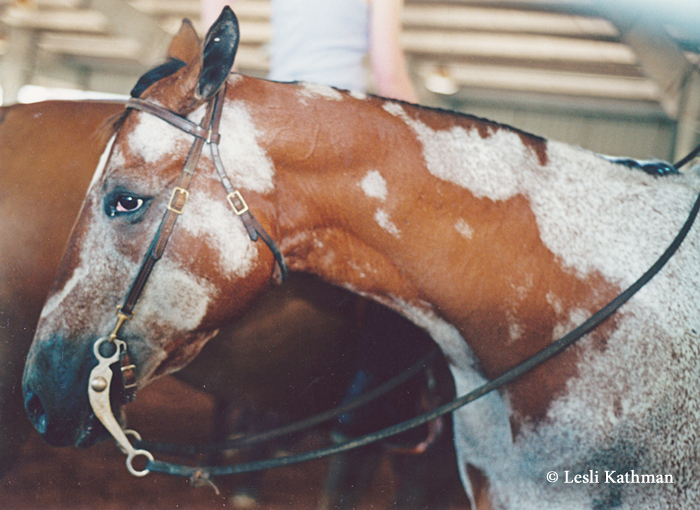 She took these pictures at the 2012 Midwest Horse Fair, and I apologize for my less-than-perfect color corrections on them. 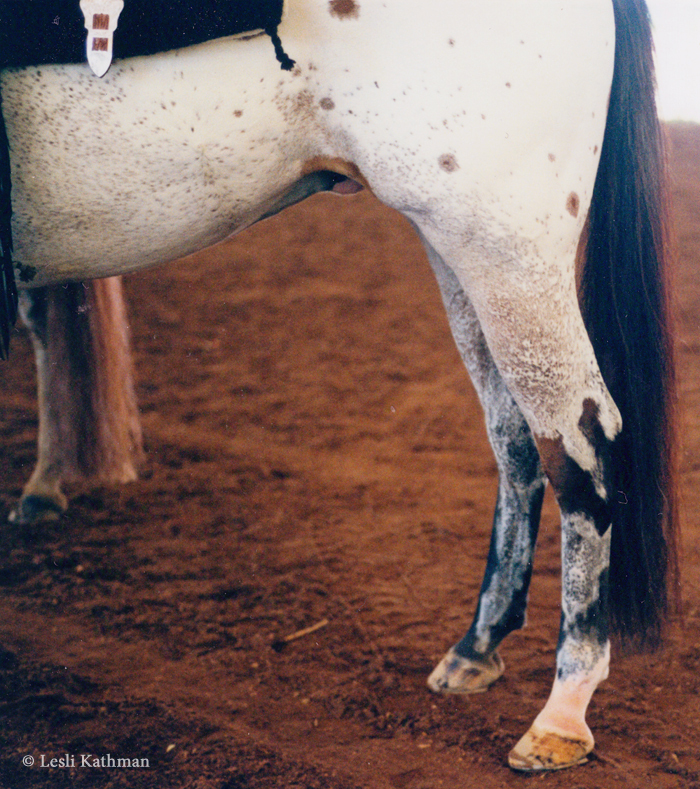 This particular horse seemed intent on staying in the shade, so I had to play with the settings quite a bit so that his pattern was more visible. Appaloosas that develop clusters of white hairs are often called snowflake appaloosas. 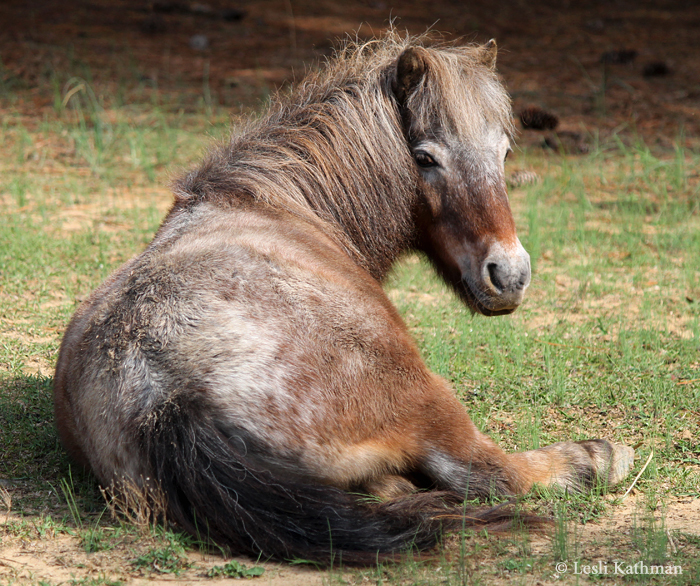 Appaloosas that have larger, overlapping clusters of white hairs are sometimes called marbled. 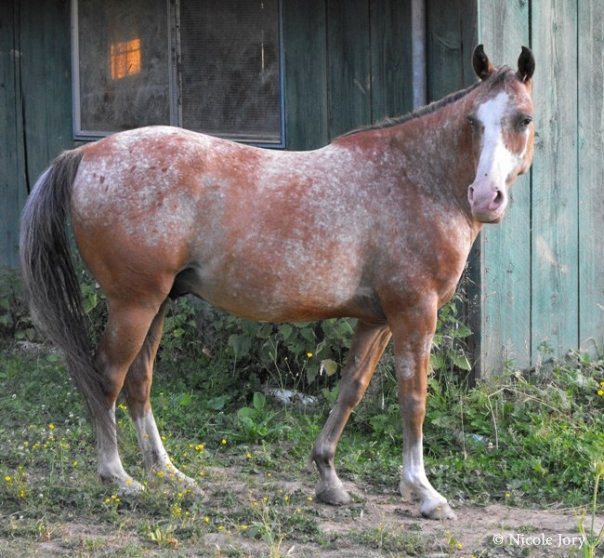 Horses that inherit both varnish roan (Leopard complex, or Lp) and grey seem particularly prone to developing the marbled pattern, but it also occurs on non-greys like this horse. 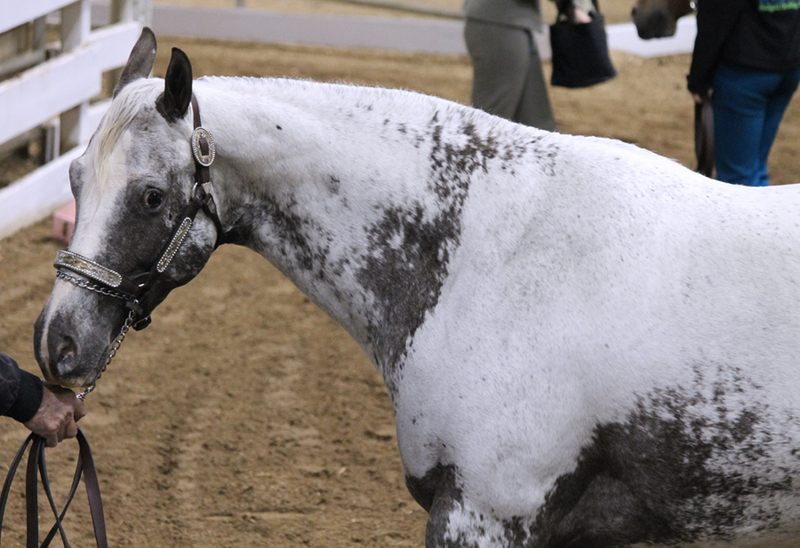 Appaloosas like this tend to stand out from other appaloosa roans because they look more blotchy and contrasted, as the picture of this guy among other appaloosas shows. 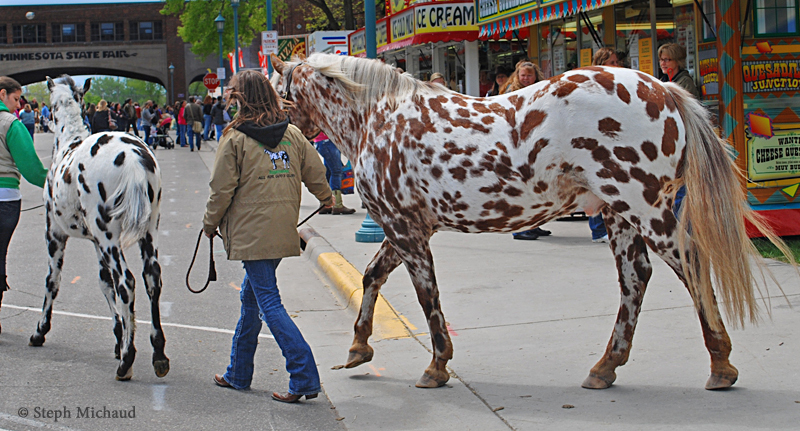 If you look closely, this guy looks to have some kind of lacy, spotted hip blanket in addition to the marbling. 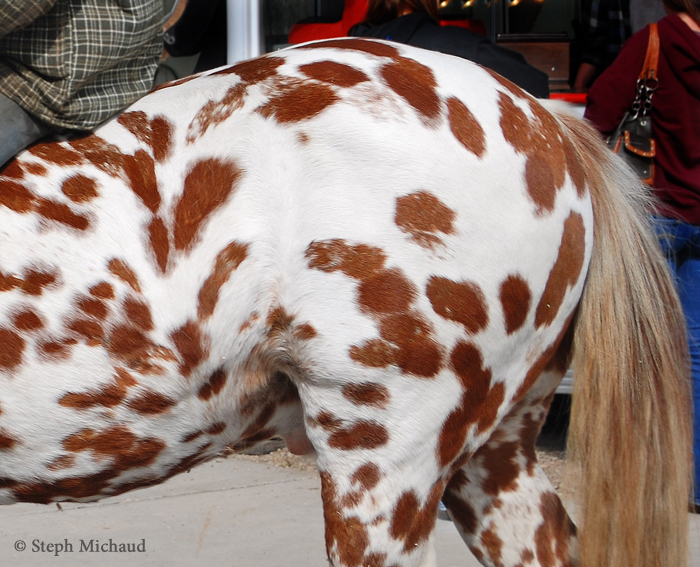 The marbling also extends down the tailhead in fairly distinct round spots, which I thought was interesting. 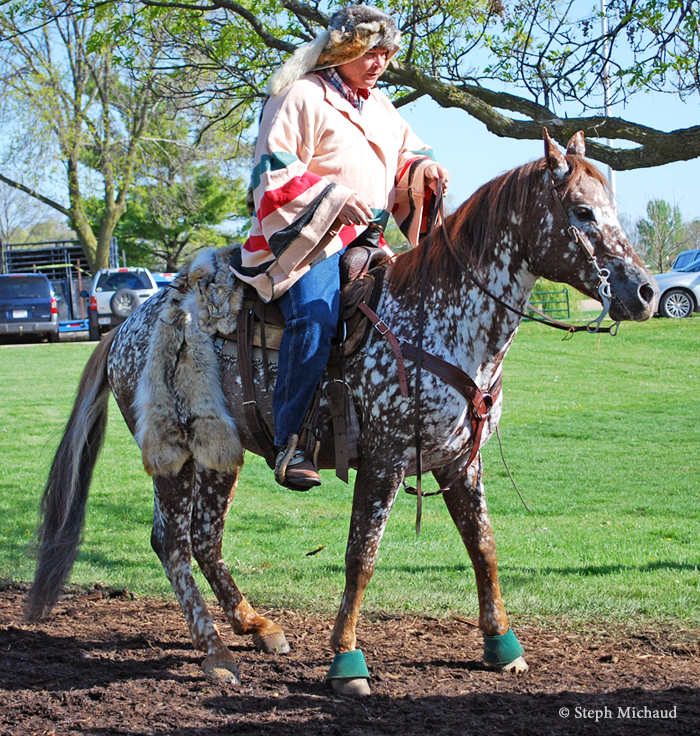 Like the moldy spots on yesterday’s horse, the whole effect looks very layered, with the darkest spots sitting on the topmost “layer” of the coat. The marbling was not evenly spread across the coat, but concentrated on the forehand and on the chest in particular. That is more noticeable in this shot. 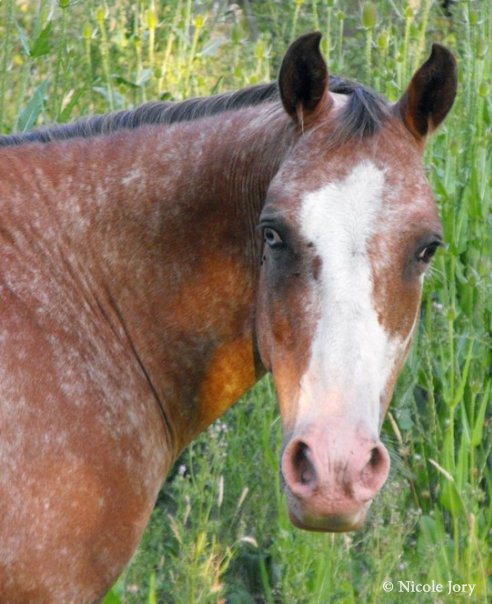 In some ways those areas are reminiscent of type of patterns seen on horses with the white fungal markings. 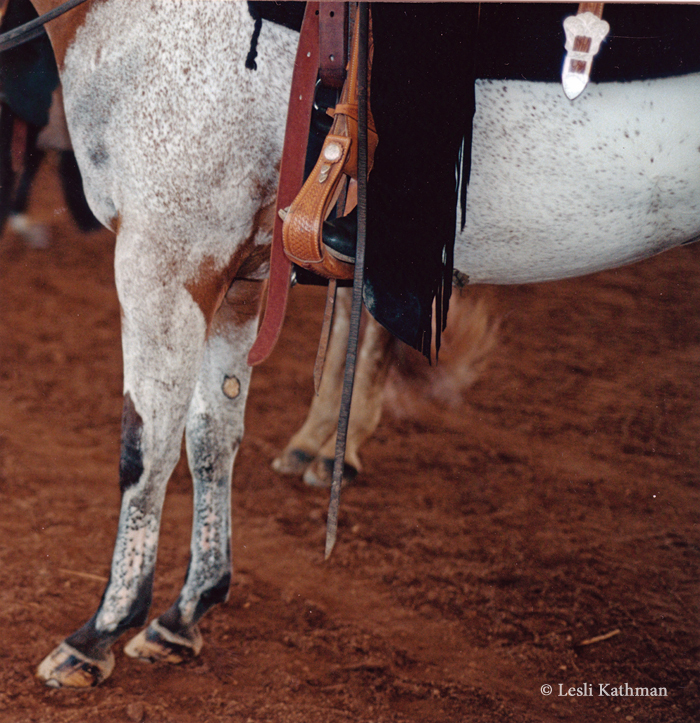 There are also horses that develop a similar pattern that is not thought to be related to the appaloosa patterns. You can find some of those, and some marbled appaloosas, on this Pintrest board. 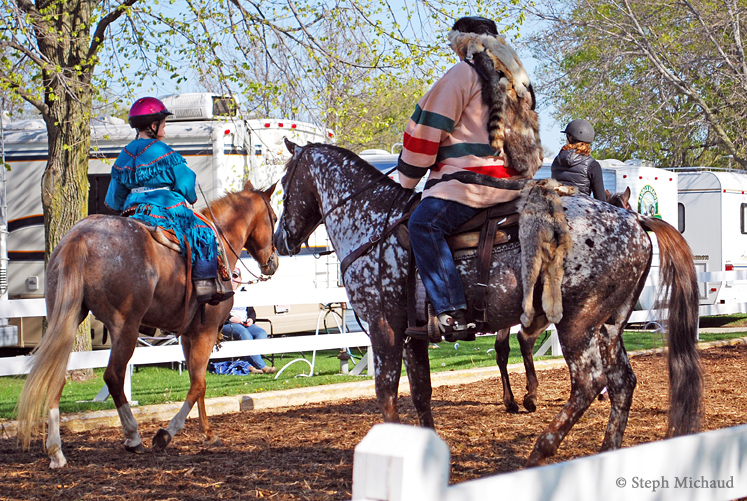 Many appaloosas get some clustered spots of white as they roan. 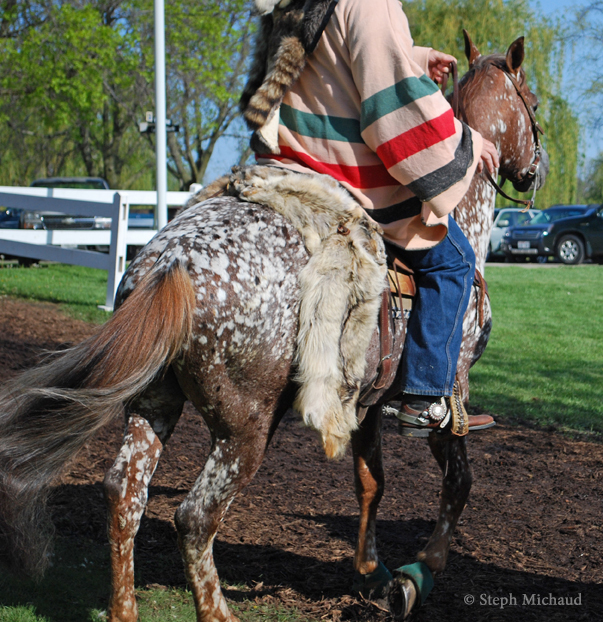 Here they are on the ears of my own near-leopard mare. Around the same time she acquired white spots on her neck, chest and face, though those the existing roaning made them less noticeable than the ones on her ears. 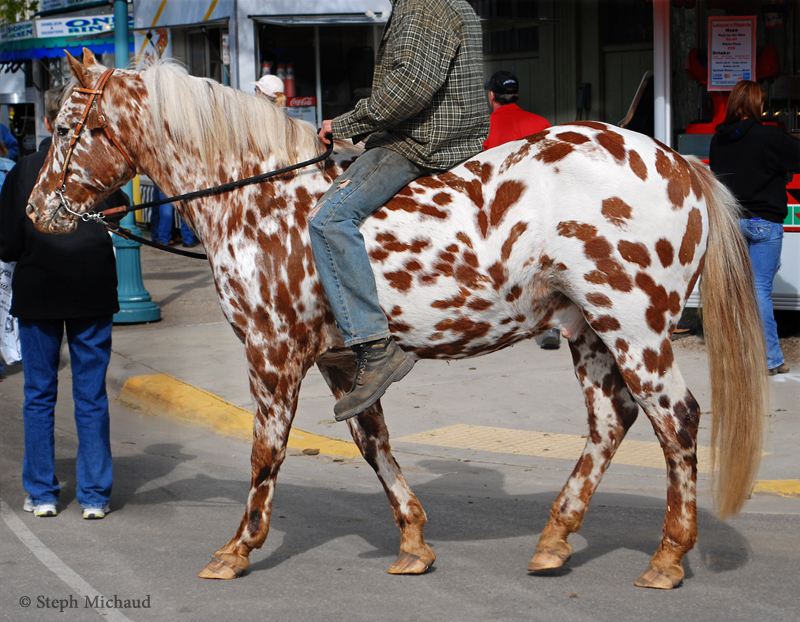 It is not known why some appaloosas develop such an exaggerated version of this kind of clustered white spotting while most do not. 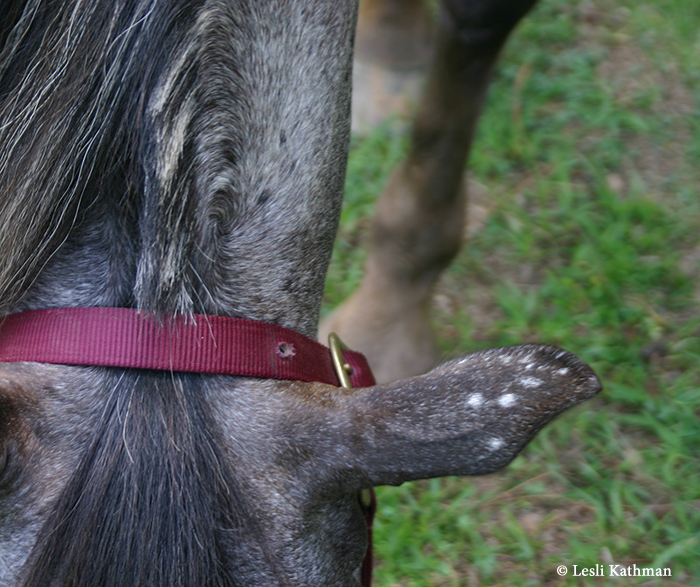 Perhaps it is a modifier that redirects the roaning process, much like the Bend Or pattern appears to redirect the the sooty hairs into clusters on some horses. 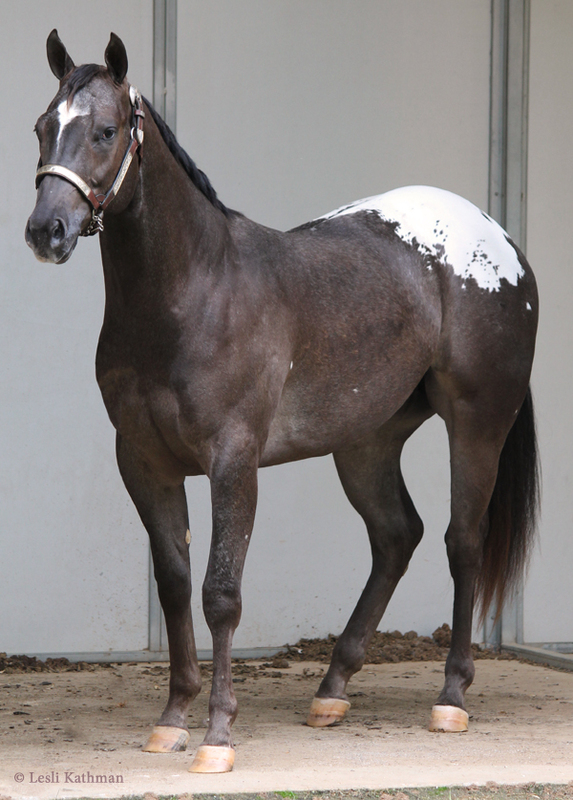 It is also possible that some of these horses may have some unrelated white spotting pattern, since breeders often assemble breeding groups that contain similar-looking colors that have a very different genetic cause. 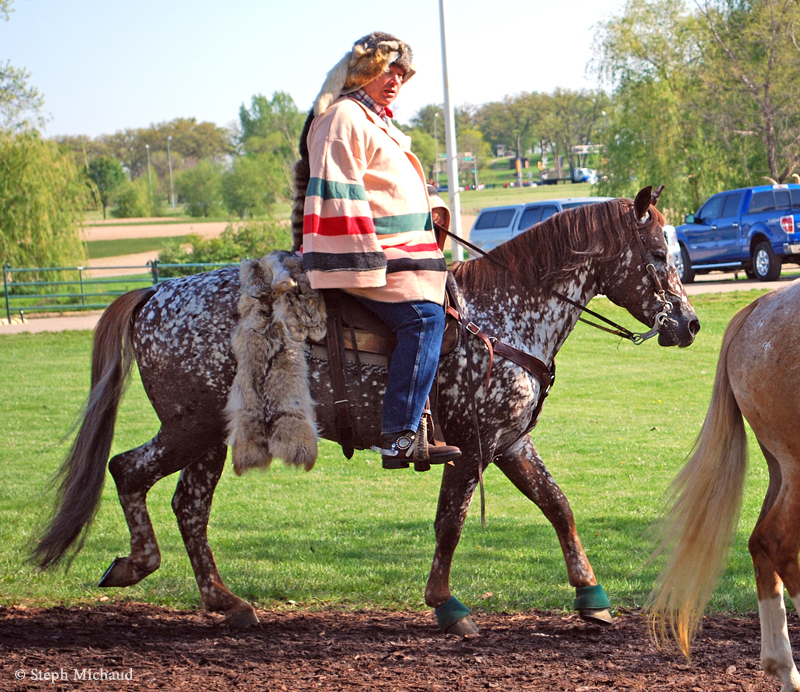 My friend Steph Michaud sent some pictures from the 2012 Minnesota Horse Expo, which included the really loud chestnut leopard DREA Chief Fireagle. 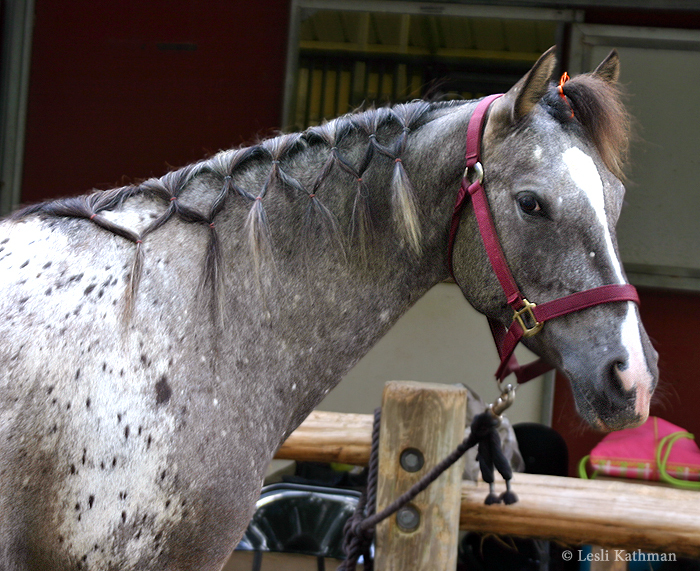 He is a great example of what the leopard pattern looks like on a horse without markings. 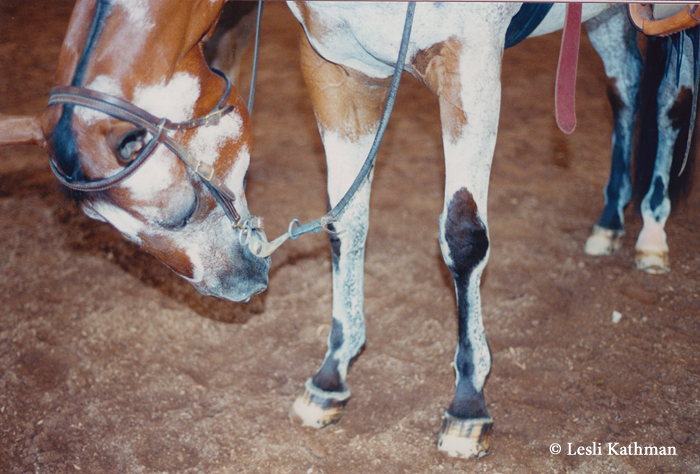 Appaloosas with white on the face and legs tend to have smaller spots with wider areas of white between them. This effect is sometimes called the Sabino Boost, because the sabino patterns appear to boost the amount of white in other patterns at the expense of the colored areas. Fireagle is particularly interesting because this type of loud patterning is more often seen on appaloosas with a bay or black base color than on those that are chestnut. 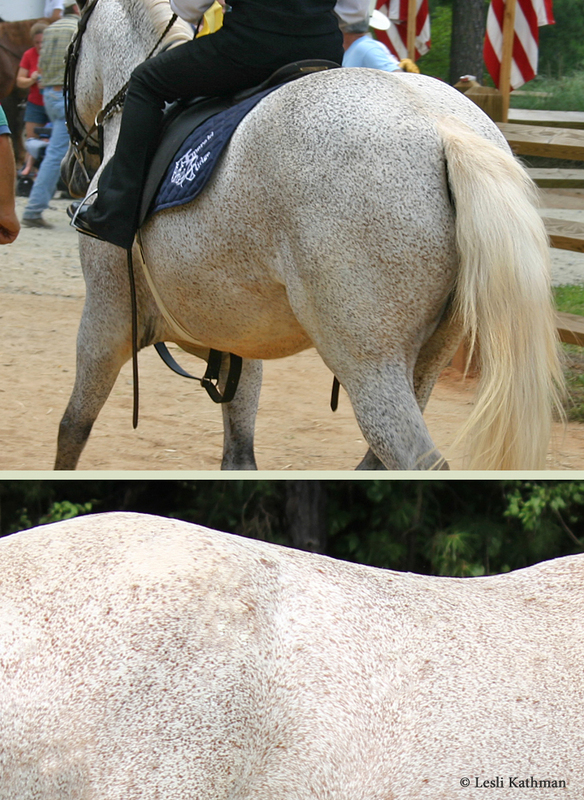 But I wanted to share the pictures because Fireagle has what are sometimes called “moldy spots”. 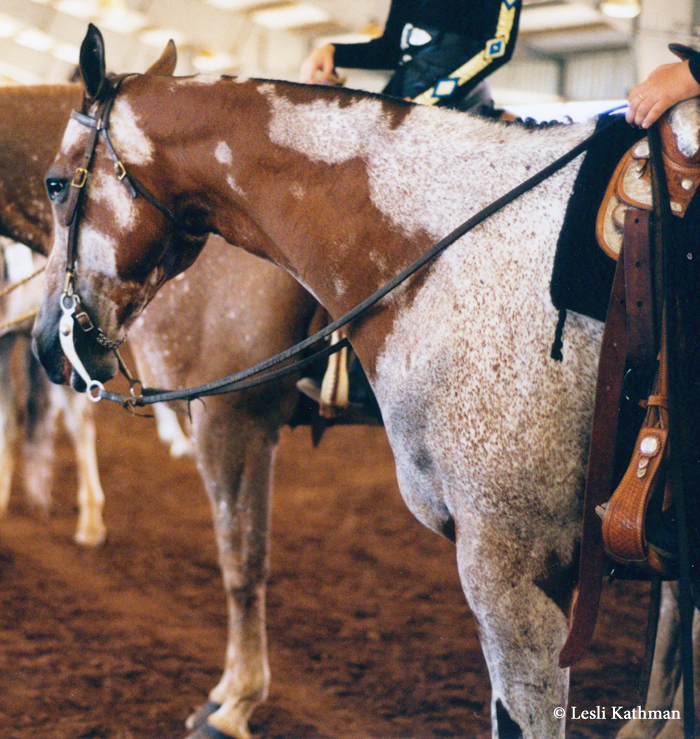 Part of what makes the leopard pattern so desirable among appaloosa breeders is that unlike the other colored areas on an appaloosa, the spots do not roan out with age. A leopard is all spots, or nearly so, so the pattern does not change significantly over time. Leopards with moldy spots are the exception in that they develop random white dots inside some of their spots. 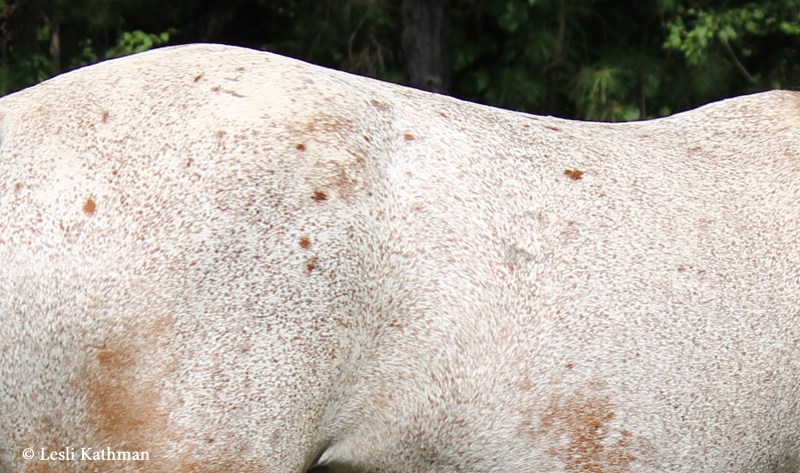 The amount seems to vary, with some spots developing pinholes of white while others appear to roan out completely. Because this is something that develops with age, it is sometimes mistaken for greying. 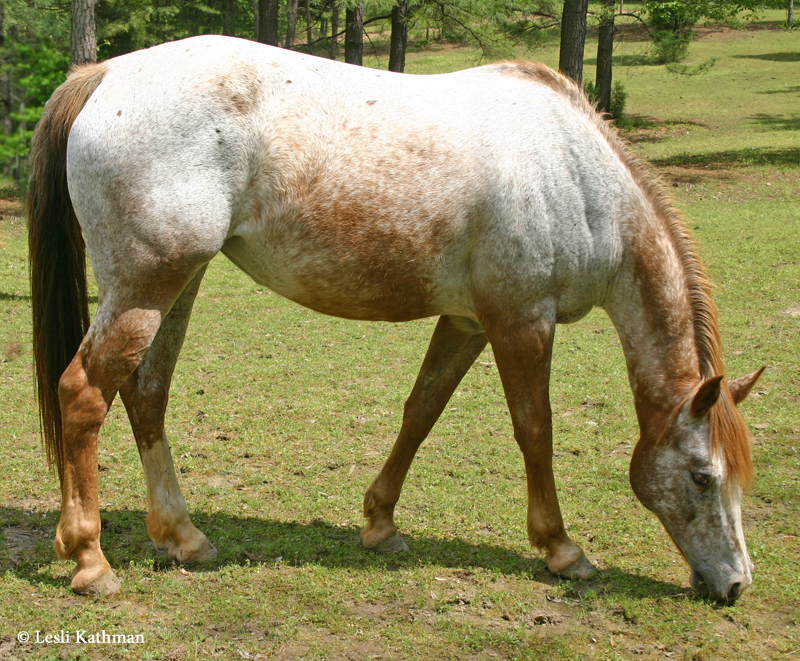 Appaloosas that inherit the grey gene do lose their spots, but moldy spots are not caused by greying. 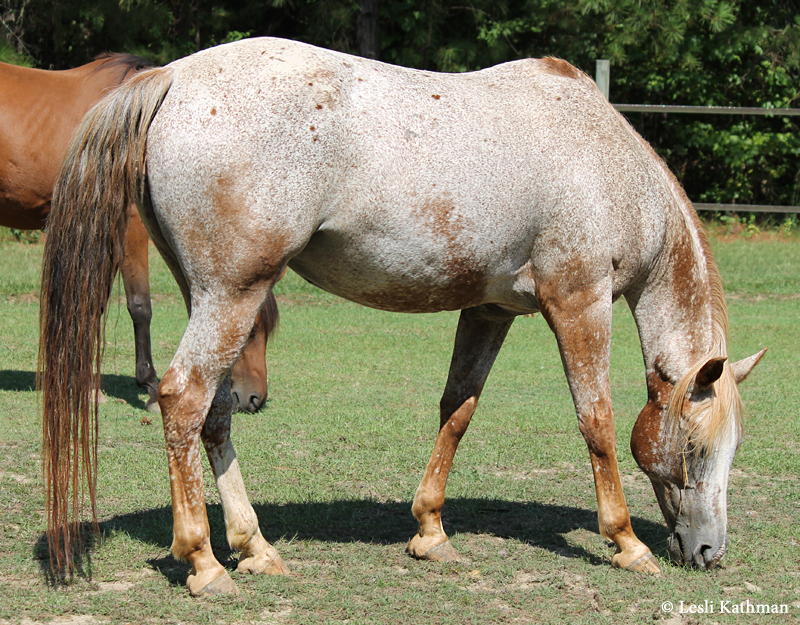 Greying does other things to the appaloosa patterns which is worthy of a later post, but that will require tracking down some decent pictures. This, however, seems to be some variation on the normal actions of the Leopard Complex gene. This ties in with the upcoming post about occluding spots and badger faces, which are other instances where colored areas behave like layers in a drawing. From there I’d like to get back to the discussion on Belton patterning with some of the images that have been sent to me since the initial post on that topic. That should also put things back on track for regular postings, so stay tuned!